Discrimination against Arabic in Algeria? Attention conservation notice: The story below is probably being promoted as a distraction, to keep Algerians talking about language instead of about what happens when a succession crisis combines with a fall in oil prices, in a state almost entirely dependent on oil revenue. Nevertheless, while not the most immediately pressing problem facing Algeria, it deserves attention on this blog. In keeping with its usual journalistic standards, Ech Chorouk didn't bother even to interview his fellow passengers, much less ask the flight crew for their side of the story, so I can't confirm whether this is a fair account. However, it reminds me so much of less dramatic encounters I've had with Air Algerie that I'm inclined to believe it. In particular, I remember one time in Timimoun a few years ago, when my French was rather poorer than it is now, walking into the local Air Algerie offices to get my ticket changed. I addressed them in Arabic (Darja, of course); they replied in French; I replied in Arabic; they replied in French, with some long set of details that I didn't fully understand; this continued, until eventually I got frustrated enough that I started talking to them in English. At that point they finally shifted to Arabic, after briefly lecturing me about how French was a national language after all (which, legally speaking, is entirely false) and how it's not fair for me to expect them to know English! I got my tickets changed in the end, so it worked out, but it was an eye-opening experience. I certainly spoke more French at the time than the average citizen of Timimoun (see Bouhania 2011:253). If Air Algerie's staff insist on using a foreign language even when the person in front of them obviously doesn't feel comfortable in it, how welcome do you suppose that makes their customers feel? But the flip side of that is: why does anyone put up with such treatment? Why is it just Prof. Dou, out of an entire flight to a region where French is hardly spoken, complaining? In the case of Air Algerie, obviously because they have nowhere else to go for domestic flights. But I think there is a broader issue as well. People have internalised all too well the idea that Darja is an inferior non-language, unfitting for prestigious contexts like airline offices. So if they prefer Arabic, then, unless they belong to the minority who - like Prof. Dou - can speak grammatically correct Fusha on the fly, they're left with no effective options that they don't feel make them look bad. The immediate solution is obvious: insist that Darja is entirely appropriate in any and all conversational contexts in Algeria, including the most official and prestigious (and not merely that French is inappropriate in such settings). One final thought, which I suspect many of those sharing this story have not thought about much: if people get treated like this for using the official and majority language, what do you think people experience when they try to use a minority one? A little sympathy on that point could go a long way towards healing the unhelpful political rifts that have been created between some Berber and Arabic speakers. Updates, 31 Aug: Air Algerie has allegedly opened an inquiry into the incident (says Ech Chorouk). By way of background, Prof. Dou expressed his position on the language issue a year earlier: التعليم: لغة الأهالي أم لغة الكولون . With massive borrowing resulting in systematic suppletion, the nomadic Northern Songhay languages, Tadaksahak and Tagdal, are some of the most striking products of intense language contact in Africa. While the importance of Berber in their formation is obvious, published comparisons have focused almost exclusively on Tuareg, the currently dominant Berber language of the region. This paper, however, demonstrates that Tuareg-Songhay contact alone cannot adequately account for their emergence. Tadaksahak at least seems to have as its substrate not Tuareg, but rather a Western Berber language closely related to Tetserrét, a small minority language of Niger; such a language also played a role in the development of Tagdal. Western Berber influence, however, is not reconstructible at the proto-Northern-Songhay level, despite being attested in most Northern Songhay languages individually. A closer look at the Western Berber stratum in Tadaksahak indicates that language shift there was accompanied by broader cultural changes, including a shift away from the regional norm of cross-cousin marriage towards the North African preference for patrilineal parallel cousin marriage. These linguistic and cultural changes may have been part of an effort to assert an identity as specialists in Islamic learning, following regional political shifts around the sixteenth century. A persistent problem for research in this domain is the inadequacy of the published data. A new article by Maarten Kossmann takes an important step forward in this regard, providing a sketch grammar of Tasawaq along with the first adequately transcribed published text in it: "A Tasawaq (Northern Songhay, Niger) Text with Grammatical Notes" (Linguistic Discovery 13:1, 2015). Conveniently, this article is freely downloadable - no subscription necessary. [This article presents] a Tasawaq story with glossing and comments, recorded in Agadez in October 2003, told by Mrs. Ibrahim, born Nana Mariama Aweïssou, originary from In-Gall, but then living and working in Agadez. Mrs. Ibrahim speaks Tasawaq, Hausa and French; at the time of the recording her daily language was Hausa. [...] The text presented here is a well-known story in the region, a version of which appears, for instance, in Jacques Pucheu’s collection of Nigerien Hausa stories (Pucheu 1982:45ff.). There is a clear connection to Hausa stories in the name of one of the participants, the bóóráy tree. Northern Songhay is just the most extreme example of a strong tendency to intense language contact throughout the Songhay-speaking world. Paulo Moraes Farias' article Bentyia (Kukyia): a Songhay–Mande meeting point, and a “missing link” in the archaeology of the West African diasporas of traders, warriors, praise-singers, and clerics (Afriques 4, 2013) - also freely available online - gives a historically oriented picture of some of the migration patterns that helped produce this, with a particular focus on a contact whose linguistic effects still need to be elucidated: between Soninke, the Mande language of the Kingdom of Ghana along the modern-day Mali-Mauritania border, and mainstream Songhay in places such as Gao. The present tragedy in Mali draws our attention to the divisions, tensions and conflicts between West African ethnic groups, religious persuasions, and populations from different regions, in both the present and the past. But a long-term critical perspective on the past brings to light borrowings between cultures, and shows how the mobility of people across West Africa links regional and ethnic histories. The communication axis running from the Aḍagh to the Niger and, along the Niger Valley, from Gao to Busa (in Nigerian Borgu) and beyond, is a strategic locus for investigating this mobility and connectivity. It has linked together the Saharan, savannah, and forest zones of West Africa. It was a magnet for diasporas of Soninke praise-singers and Mande warriors and traders. Fishermen and other waterfolk along the river, oral traditionists and other craftspeople, priests and priestesses of African cults, and Islamic clerics, as well as armies, long-distance merchants, and enslaved human beings, moved along it. Although the archeological sites at Bentyia/Kukyia occupy a strategic position on this historical axis, they have not been excavated, whence a serious gap in our knowledge of the history of the eastern Niger Valley and of West Africa as a whole. Much work remains to be done in this domain, but the picture is gradually becoming clearer, despite a political situation in the area which is not very conducive to research. In a recent article on RFI, I'm quoted as saying that Darja (Algerian dialectal Arabic) was already used in education before the colonial period. Here's why I said so. I've written previously about a Classical Arabic poem intended to teach Songhay in a similar context: students coming to study in areas where a different language is spoken. 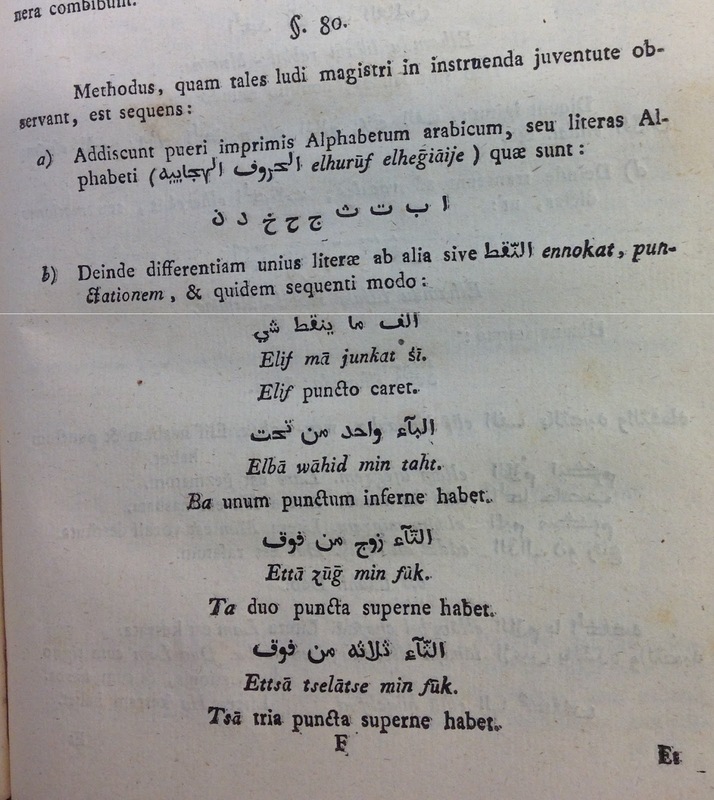 Unfortunately the poems Lacheraf describes have not been published, as far as I know, but the papers of the noted anti-colonial leader Shaykh Aheddad include a Dardja-Kabyle wordlist presumably intended for the same purpose; this is described in Aïssani's 2012 article Le lexique manuscrit Arabe dialectal-Kabyle de la Zawiyya historique de Cheikh Aheddad. The merits of teaching in Darja are open to debate, as are the motivations of Benghabrit. But to go into a sudden moral panic over Benghabrit's proposal, you need to ignore not only current but also historical practice among Algerian teachers. Anyone who really thinks Darja should be banned from the classroom should push to have that actually happen, not wait until someone admits to it to start protesting - and should acknowledge that doing that would in fact be something new. As we have seen, research and common sense both confirm that students learn better if you teach them non-language subjects in their first language, whereas it is still hotly debated whether it's better to teach languages in the students' first language or in the target language. One might therefore assume that Benghabrit had the former especially in mind when she proposed teaching 1st and 2nd grade in Darja (Algerian Arabic). After all, only half of the first grade timetable in Algeria is devoted to learning Arabic; the rest is rather ambitiously divided between Maths, Science and Technology, Islamic Studies, Civics, Art, and PE. But no. In fact, Benghabrit specifically frames teaching in Darja as "a solution... for teaching standard Arabic to our children" and calls for "a national debate on the best way to teach Arabic and the main languages[?] to our children", while emphasising the problem of children failing Arabic. She notes that "if a child does not master Arabic, he cannot master the other subjects which are taught in Arabic, notably essential subjects such as mathematics", without so much as musing on whether maybe we should try to separate the problem of learning mathematics - especially in first grade! - from the problem of learning grammar. Focusing specifically on Arabic teaching immediately begs the question asked by many critics: if it's more effective to teach Standard Arabic using the students' first language, why does that not also apply to French and English? French is introduced in 3rd grade, and her proposal stops at 2nd. Practically every Algerian I've ever met assumes - rightly or wrongly - that monolingual language teaching is more effective, or indeed that it's only way to teach a language. 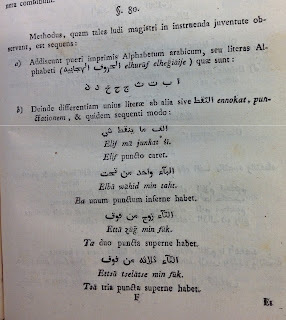 In such a context, Benghabrit's emphasis on using Darja to teach Standard Arabic can hardly fail to be seen as an attempt to handicap students' acquisition of Standard Arabic while leaving their acquisition of French intact. Her supporters in the Algerian press do little to dispel this assumption; the ones I've seen either don't address the question of its effect on Arabic teaching or are openly hostile to Arabic. That interpretation goes a long way towards explaining the violence of the public reaction against her proposal, disingenuous though it may be. Even if Benghabrit had had the sense to frame this proposal around non-language subjects instead of around Arabic, actions speak louder than words. When someone obviously well-connected and well-educated, and presumed to be rich, comes and tells Algerians that mother tongue education helps children learn better, the question on people's minds is obvious: Did you demand it for your own children, or your nephews, or your grandchildren? If Benghabrit did, she hasn't mentioned it. Certainly no one else in the government did: we see the rich and powerful seeking out private schools in French, not looking for ones that teach in Darja. No wonder Algerians aren't buying it. Conveniently distracting public attention from the recent assassination attempt on the president's brother and the continuing drop in oil prices, Algeria's Minister of Education, Nouria Benghebrit, has recently provoked a stormy debate by announcing that preschool, 1st grade, and 2nd grade would from now on be taught partly in local dialects. (Contrary to some reporting, there is no question of introducing dialectal Arabic as a school subject.) In a TV interview, she points out that nearly 10% of Algerian children repeat second grade, and argues that the solution is for the teacher to make more use of the linguistic abilities they come into school with. Public opinion in Dellys seems to be overwhelmingly against this move, and I suspect that applies to most of Algeria. The president of the teachers' union (UNPEF) called it "a dangerous precedent" reminiscent of "France's [colonial-era] efforts to erase the pillars of the national identity", while the Association of Muslim Ulama went so far as to call for a school boycott (also here) in the event of its implementation - echoing the strategy by which, twenty years ago, Kabyle activists forced the state to teach Berber in school. However, an independent teachers' union (SATEF) expressed its support, claiming that "in the 1970s Algeria called in Egyptian teachers who taught in Egyptian Arabic and no one said anything". I won't bother with the statements of party politicians, whose easily predictable positions are meaningless to anyone but the few who still take their game seriously; but it is interesting that quite a few journalists seem to have come out in support. Despite all this noise, however, this move will have no direct consequences (except potentially for Berber speakers), for a simple reason: Algerian primary school teachers already, by necessity, teach largely in dialect. The minister admits as much in the same interview, breaking into French to say that this move will simply "déculpabiliser" the teachers. The more intelligent among her critics, such as Mohamed Djemai, make the same point. The problems Benghebrit points to are real enough - such as massive rates of subject failure in Arabic in completely Arabic-speaking regions - but telling teachers to start doing something that they're already doing is hardly likely to solve them! Rather than as a change in practice, this statement could be understood as an attempt to move Algeria's Overton window (at least insofar as as it's anything but a distraction). If a government minister can now get away with suggesting publicly that the dialect has a positive role to play in education, then maybe one ten years down the line will be able to make proposals that are currently unthinkable. Whether she can in fact get away with this suggestion, or gets thrown out for it at the next reshuffle, remains to be seen. Algerians often assume that any proposal to improve the status of dialectal Arabic is just a stalking horse for preserving the position of French, so it doesn't help that Benghebrit speaks rather poor Arabic: even her conversational dialectal Arabic sounds rather halting when contrasted with the fluency of her frequent and jarring shifts into French. So would more dialect in education be a good thing? The state, and many parents, want all children to learn Standard Arabic, French, and English, in that order. Children's exposure to Standard Arabic is practically limited to school and the cartoons they watch; rather, they speak Algerian Arabic, which shares some basic structure and vocabulary but is still effectively a different language, or Berber, which is radically different. In effect, children are learning Standard Arabic as a second language, as well as French and English. That being the case, the question we need to ask in all three cases (not just for Standard Arabic!) is: is it more effective to teach a second language in the learners' first language, or in the target language, or in a combination of both? Algerians usually assume that the answer is to teach exclusively in the target language. There isn't as much scientific evidence on this question as one might hope, and the question is often debated without any convincing empirical evidence (Bruhlmann 2012 summarises some of this in regards to English teaching). August et al. find that non-English-speakers in English-speaking countries learn to read English better if educated in both languages than if educated only in English; but such students are also extensively exposed to English outside their homes, making the situations less comparable. Any SLA researchers reading this are cordially invited to propose better references. However, schooling is not just about learning languages. Is it more effective to teach other subjects in students' first language, or in a second language? The answer seems too obvious to bear investigating, but it too has occasionally been investigated - notably in the context of America's bilingual education debate. Both Rolstad et al. (2005) and Slavin and Cheng (2005), usefully summarised here, find that immigrant children in the US learn more if taught bilingually than if taught only in English, even as measured by tests in English. Similarly, students in Hong Kong taught in English (Lo and Lo 2013) were found to perform more poorly in non-language subjects than those taught in Chinese, despite the large difference between the Chinese used in school (Mandarin) and that spoken at home there (Cantonese). So it seems that the obvious conclusion is true: it's easier to learn non-language subjects in your first language (i.e. Algerian dialectal Arabic), and failing that, easier to learn them in a closely related language (i.e. Standard Arabic) than in a very different one (i.e. French). This suggests that dialectal Arabic should play a rather larger role in Algerian schools than almost anyone is willing to consider at the moment. Quite apart from school performance or school curricula, though - and no matter what the underlying agenda may be - it's nice that Algerian dialectal Arabic is finally getting taken seriously enough for proposals like this to be heard. It may be a shame that most Algerians can only express themselves fluently in this "dialect", but it's a fact - and their voices should not be banished from public debate by their inability to dress their thoughts up in a more prestigious language. A good knowledge of its extensive vocabulary and its complex morphology is an achievement that takes years; why do we insist on treating it as an embarrassment or a sign of ignorance? One of the most interesting responses to this debate was by a teacher, interviewed by Mohamed Saadoune. She strongly supports teaching in Fusha, not for nationalistic or religious reasons, but simply - because its use lets teachers reassert their authority over the class! "It clearly signals to the student that we are no longer in the street, but rather in a place where we learn, and where there are rules. Putting Standard Arabic into question quite simply signals to the students that there is no longer any difference between the street and the school. This necessary boundary risks being erased." Understandable as it might be given the state of Algerian society, this is a counsel of despair: it presupposes that the way you learn to behave in school has nothing to do with the rest of life! In that case, what good does school do at all? Surely the goal should be, precisely, to erase or at least blur the boundary between school and the street - to make it clear that what you ideally learn at school, including expanded vocabulary and polite behaviour, can and should be applied outside school? "You have your flip-flops and I have my flip-flops." which his older brother actually corrected to kəmmli xəddəm-t-ək كمّلي خدّمتك. Adults' speech furnishes one plausible model for this strategy - not in nouns but in participles. The active feminine participle takes direct object pronoun suffixes, identical to the genitive ones except in the 1st person singular. In such forms, -ət becomes -at before a vowel, rather than dropping the ə: šayf-a شايفة "having seen (f.)", šayf-at-u شايفاتهُ "having seen him (f. subject)". But its extension to nouns is something quite new; neither their parents nor their elder brother nor any adult I've met use such forms. Most probably, the next time I go to Dellys I'll find these two children using the normal forms and denying they ever spoke this way. Even now, they already use the normal form for body parts which almost always occur possessed: rəqb-a رقبة "neck" becomes rəqqəb-t-i رقّبتي "my neck". But what if this innovation instead spreads among their peers? Most likely it won't: there seems to be little evidence for children initiating language change, notwithstanding the idea's widespread adoption by generative historical linguists, and adults' innovations are much more likely to be maintained or copied (cf. Luraghi 2013, Foulkes and Vihman fc; for a potential counterexample, see Moyna 2009). For that very reason, however, it will be worth keeping an eye on them; potential counterexamples are always interesting. The Qur'ān contains many Arabic words obscure enough that even the earliest commentators (eg al-Ṭabarī), at a time when Arabs still natively spoke something quite close to Classical Arabic, considered them to need glossing. This fact has led to sometimes rather wild speculations; at the extreme, Luxenberg, whose attempt to reinterpret houris as grapes brought him some notoriety a decade ago, bases his entire project on the assumption that such words are mistranscriptions or misinterpretations of Syriac. A look at modern Arabic dialects, however, reveals that in some cases a Qur'ānic Arabic word that was evidently unfamiliar to the largely Levantine or Iraqi audience of early commentators nevertheless survives right up to the present in other regions, confirming its historical reality and confirming how regionally variable the vocabulary was within even early Arabic. They [the inhabitants of Hell] have no food except ḍarīʕ, which neither fattens nor takes away hunger. The commentators' consensus is that this is a Ḥijāzī word, unfamiliar to Arabs from other regions, referring in this passage to dried shibriq – a thorny shrub with the Latin name of Zilla spinosa. The obscurity of this term outside the Qur'ān may be gauged by the fact that many early Arabic dictionaries omit it entirely; almost all occurrences in Alwaraq.net's rather large collection of classical Arabic literature are in quotes or explanations of this Qur'ānic verse. Unlike the terrestrial meaning, this sense has survived in colloquial usage right up to the present day: in Dellys (central Algeria), the keystone seagrass of the Mediterranean, Posidonia oceanica, is called ṭṛiʕ طريع. Just as Ibn al-Bayṭār describes, this seagrass is cast up by the sea in vast quantities along the coast. The change of ḍ > ṭ is not regular in Dellys, but is sporadically attested here (eg ṭəmm “gather together” < ḍamma), and is a good deal commoner in the very similar dialect of the Algiers Casbah; so the derivation is unproblematic. What is the connection between Zilla spinosa and Posidonia oceanica? It would be hard to think of two plants which resemble one another less. Posidonia oceanica has no thorns, never forms a shrub, and isn't even the same shade of green. Rather than form, we must look to function. Zilla spinosa is (if we may trust the lexicographers and commentators) very bad fodder; Ibn Manđ̣ūr comments that camels fed on it gain neither fat nor meat. Posidonia oceanica has many functions reported for it in Mediterranean cultures, but that of fodder is conspicuous for its absence, suggesting that it too does not make good fodder. This suggests an etymology: the meanings of the root ḍrʕ include “be humble, weak”, and cattle fed on ḍarīʕ presumably become weak. The obvious follow-up question is whether either sense of ḍarīʕ has survived elsewhere in Arabic, so I'll close by asking my readers: is the word ḍarīʕ used in an Arabic dialect that you know? If so, what does it mean?